The Friday sessions began with Rosemary Ellen Guiley - ETs, Shadow People, and Djinn. Of those three types, Shadow People are seen the most. They are shadowy forms and often move in and out of children's closets (see Monsters, Inc. ). Stan Romanek has them in his home. They are allied with the Djinn, who are fighting ETs when they're not stopped up in bottles or lamps. The Djinn are seeking hybrids who have staying power in our dimension. Unfortunately, all three groups harass whoever investigates them. If you haven't already had enough of this twaddle, Guiley's website is www.djinnuniverse.com . Bryce Zabel - Life After Contact. Bryce is the producer of the UFO conspiracy-oriented TV series Dark Skies. Contradicting those who say that government agents are promoting alien-themed shows as part of some "disclosure" project, he says Hollywood loves aliens because they sell tickets. Zabel says that future calendars will be labeled "A. D.", meaning "After Disclosure," because the inevitable disclosure of the alien presence will have world-changing consequences. He compared the disclosure movement to the civil rights movement, and urged UFOlogists to avoid highly-controversial and sensational claims that will alienate people from the main cause, which is disclosure. Zabel is obviously a very intelligent man, and an excellent speaker, although in my view he suffers from insufficient skepticism of verbas. He says that After Disclosure, there will be hoarding and panic buying, civil unrest, Congressional hearings, lawsuits, etc., as people seek damages from all the government deception. If such a conspiracy exists, and if it ends, then Zabel's scenario is probably farily accurate. But that assumes a whole lot. Zabel should talk to John Alexander, who strongly believes in ET UFOs, but believes there is absolutely no government conspiracy. Randall Nickerson - Researching the Ariel School incident. This refers to an incident occurring in Africa on Sept. 16, 1994. In Zimbabwe 62 children ages 6-12, both black and white, claim to have seen a landed UFO with "strange beings" during morning recess. Unfortunately while all of the children apparently saw it, no adult did. Nickerson and the late Dr. John Mack went there to investigate the incident, which was actually a very brave thing to do, as travel to that area is quite dangerous. Some of the children got 'images' of man's destruction of the environment, saying this must end. Nickerson's talk was self-absorbed and introspective, and frankly boring. It took him 30 minutes to get to the UFO part of the story. I don't know why those children are telling that story, and I agree that episodes such as this ought to be studied by psychologists. Perhaps somebody hoaxed the children? However, there is ample historical precedent for episodes of what appear to be mass-delusion: Father Gill's 1959 UFO sighting, day-care molestation stories, and historical episodes of witchcraft mania. In the final analysis there is no evidence that anything actually happened, just the stories told by the children. Stan and Lisa Romanek (substituting for Bruce Maccabee): Stan is the guy who became famous when he posted to YouTube a video of an alien peeping in his window. Soon others were posting alien Peeping Tom videos of their own, many of them better than Romanek's. He told about how he started to have sightings of UFOs a few years back, and soon they were following him around. Before long, big-headed aliens are playing peek-a-boo in the windows of his home. Then the ETs were replaced by as many as nine alien hybrid little girls, who intrude upon his telephone calls, and also play now-you-see-me-now-you-don't. One of them is Lisa's daughter from a previous UFO abduction. Stan gets a few not-quite-clear photos of strange-looking little girls, whose images probably have been Photoshopped to give them ET features. Stan injured himself falling off a ladder, and was going to get corrective surgery. However, before the operation he was abducted by ETs, and his injury was miraculously healed, to the astonishment of his doctor. Before finishing his talk, he mentioned in passing that someone had anonymously mailed him actual photos of the true Roswell crash debris, and he flashed them tantalizingly on the screen. Stan Romanek is a one-man paranormal factory, and I suspect these wild claims will just keep piling up for many years. Afterward while Romanek was at his table in the vendors' room (he and his wife now have three books of wild UFO claims), I introduced myself to him, and gave him my "Bad UFOs" card. I asked him why the aliens were following him around. We chatted very briefly when somebody (probably his wife) must have whispered, "don't talk to that guy." Suddenly it was, "I can't talk to you. You just bad-mouth people. Go away." I attempted to get a photo of him and his wife (others were doing so), but he turned his face away from me (how I regret not getting that image of Romanek avoiding the camera!). He said he'd have his lawyer sue me if I took a photo; I replied that was ridiculous, since he was a public figure in a public forum. So much for "UFO research!" 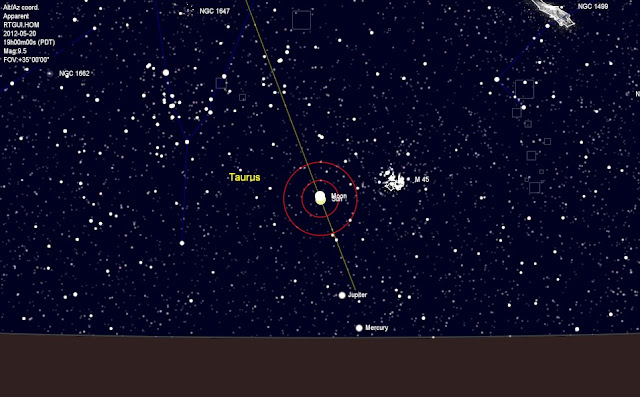 It's true: the Sun will be "aligned" with the Pleiades during the Annular Eclipse of May 20, 2012. So what? Jaime Maussan, Imminent Contact. Mexico's main UFO man gave his usual wild and implausible talk. He showed a photo of what might be a baby alien, or else a baby Chupacabra. Fleets of UFOs, he said, were watching the recent Tsunami in Japan. The annular solar eclipse (when the moon passes directly across the sun, but appears too small to cover it completely, living a bright ring around the moon's rim) that will occur on May 20, 2012 (and is visible from the southwestern U.S.) will occur with the Sun aligned with the Pleiades. Actually, that part is true. The Sun "aligns" with the Pleiades (M45) every year around May 20. So what? "Alignments" mean nothing, astronomically speaking, but they can be very pretty. Maussan showed the famous "spiral UFOs" that were failed Russian rocket launches. He insisted that he and his colleagues did a "complete investigation" of them, and found they were authentic. The Jerusalem UFO video(s) are also completely authentic. A new wrinkle at this conference: Maussan and a few other speakers talked about "mystery sounds," usually hums, being heard at various locations around the world. Sounding like a low, distant trumpet (like in the movie Red State), these have been said by some to be Gabriel's trumpet. Or else created by UFOs. One vendor doing a great business was A&S, "Alien and Scalpel Research," promising "scientific analysis of alien implants and UFO crash debris." I do not know how much they are charging to "scan" a person for alien implants, but I heard complaints from those who signed up about the long wait. One woman described to me her experience with A&S: they took her into the little tent at right, and "scanned" her several times with different electronic instruments. They found three implants. They also told her that she was an alien hybrid, but also had 'angelic" DNA as well. I am truly amazed at what science can learn these days. I invited her to post her experience on this Blog. The Matreyia's "Gathering Circle of Light." David Sereda told us all about the "Breakthrough" in "Faster than Light Communication with ET." It's easy when you use the "hidden harmonic codes of the universe." The secret? It's all done with crystals. The Great Pyramids are also "crystal oscillators," since they're made of stone, and stone contains crystals. They were used to send faster-than-light messages to the stars in Orion's belt. Sereda has discovered more about electricity and magnetism just using magnets and a voltmeter than did Faraday and Maxwell combined. You can buy the CD of Sereda's Harmonic Contact with the Pleiades for just $25. In the vendor's room I enjoyed hearing a bunch of double-talk about the Matreiya, the World Teacher, who is living in the world today, but who has a secret identity, like Batman. I was told that in recent years, the Matreiya had done numerous TV interviews, but without revealing who he is. So you might see some guy on TV talking about UFOs or whatever, without ever realizing that you are seeing the enlightened one. British author Benjamin Creme, who plays a sort of John the Baptist heralding the new savior, says that a bright "star" that mysteriously appears and disappears all over the world heralds the Matreiya's "immanent public appearance." They have lots of implausible photos of "the star" (one is obviously the Norway spiral UFO, a failed Russian rocket launch). If you see a bright star that you can't identify - it's his!! Roberto Pinotti runs Italy's equivalent to MUFON, CUN. He showed many photos of UFOs from Italy and nearby countries, many of them Golden Oldies in black-and-white, including flying cigars, and Mother Ships. He seems especially fond of USOs (Unidentified Submerged Objects). It almost felt like I had fallen into a Time Warp and was listening to a talk by Major Keyhoe in the 1950s. This was a good talk for a nap. Lynne D. Kitei, M.D., gave a very scatterbrained and rather emotional talk about the Phoenix Lights, which she seems to have adopted as her very own Cause Celebre. She told Indian legends about the area. She has seen the "orbs," or "lights," numerous times, as well as the famous mass sighting. What I never understood was why she keeps peddling the second sightings of the Phoenix lights, the Maryland Air National Guard flare drop, as if it were unexplained. It turns out that Bruce Maccabee found that the lights she had photographed were in a different position than others'. So while everyone else photographed flares, Lynn Kitei apparently photographed Real UFOs. Some of her orbs appear to be not airborne, but lights on the ground. When she is not photographing orbs, she is seeking Entanglement, atonement, AT ONE MENT, an UP, and a transformation. Can you say "New Age?" Travis made a big thing about the accusation that Philip J. Klass had offered Steve a bribe of $10,000 to say that the 'abduction' was a hoax, that I recently wrote about. That accusation originated with Travis' pal Mike Rogers back in 1978. When Klass read the book where that claim was made, he phoned Pierce, who told him that he thought the abduction was a hoax, but he could not prove it. Klass recorded this phone interview, as he did every significant interview, and later sent a copy to Karl Pflock upon request. Pflock quoted other comments made by Pierce suggesting a hoax. But that was not Steve's story today: absolutely yes, Klass tried to bribe me. He flew out to Texas to wine and dine me and try to persuade me. He kept following me, I had to move to like three different states, to get away from him. Of course, there is no proof that this 'new version' of Pierce's story is correct, no photos of Klass and Pierce together, no documents of any kind to back up this implausible tale. Walton returned to the theme that Klass was a paid government disinformation agent (an idea the audience readily applauded and obviously believed). He read from the purported FBI files released about Klass, which I believe to be genuine (more on that in some later Blogging). The FBI considered prosecuting Klass on two occasions for unauthorized release of secret information. Klass was a longtime senior editor of Aviation Week and Space Technology magazine, and not for nothing was it knows as Aviation Leak. Walton told another implausible tale about a guy who contacted him claiming to have witnessed the UFO abduction from another ridge, but this guy turned out to be some sort of government agent in cahoots with Klass. During the Q&A, my voice will be heard on the session recording, relating Pierce's earlier suspicions that the case is a hoax, and asking him why he changed his story. He claimed he didn't. Pierce explained that what happened was, he got into a feud with Mike Rogers, and so in anger he grumbled it about that the case was a hoax, but that was not true. The sessions began Wednesday morning with Chuck Zukowski talking about the joy of slicing up dead cattle that the aliens have already sliced and diced - that way, he can study their handiwork. He showed some gruesome photos, adding that he always brings his three kids when he investigates a mutilation, so that they can help out. He claims to sometimes detect substantial EMF fields emanating from mutilated cows, and speculates that it is a residual field from some alien device. I am wondering why the field does not dissipate away at the speed of light. Zukowski explained that his website is www.ufonut.com, because this is what people call him. He said that mutilations seem to follow the cattle of certain ranchers, even if the rancher moves. I would think that what follows a rancher is the propensity to attribute slightly unusual predation patterns to extraterrestrials. He has discovered that mutilations and paranormal events are most common at 37 degrees north latitude, creating a belt of weird stuff running clear across the country. In the Q&A session, the question came up as to whether the aliens might be abducting cattle to create a race of "hybrid fetuses." Chuck thought that might be true. Can this be the explanation for the aliens' bizarre obsession with the nether parts of cattle - the creation of an alien/cattle hybrid? Now that truly bends the mind! If there are any cartoonists reading this, feel free to submit your conception of what a Bovine-Reticulan would look like, so it can be published. And somebody please suggest one reason why the aliens are so keen on breeding with cattle! Two nice young ladies selling alien art. "Anubis" (right) is 14 years old, and draws the beings she says she sees. Clifford Clift recently retired, or else was booted, as International Director of MUFON. Because I heard much grumbling about him at last year's MUFON Symposium, I suspect the latter. I saw him in a restaurant last night, and introduced myself. He seemed quite jovial, and frankly relieved to not have to worry about running MUFON any longer. He began his talk by reviewing some MUFON statistics. About four entity sightings are being reported each month. Diving deeply into MUFON's treasure trove of Golden Oldies, he regaled us with another account of the famous Captain Mantell tragedy of 1948, one from a prison guard who saw a 450-foot wide craft hover right over the prison, and a UFO landing in a Kuwaiti oil field in 1976. Nullius in Verba, Clifford. "Take no one's word for it." That's what separates the science from the pseudo. Yvonne Smith does hypnotherapy of people who think they have been "abducted" by a UFO. Old-style "abductology" as in Hopkins/Jacobs/Mack isn't completely dead - there is still Yvonne Smith, and Barbara Lamb (who is here, but won't be speaking). Smith showed us lots of drawings made by children of "monsters" and such that come into their bedrooms. Of course, we're sophisticated: we know they're really not "monsters," they're extraterrestrials. At least the 'alien hybrid race' Smith talked about doesn't involve cows. Smith gave tantalizing hints about a supposed 'mass UFO abduction' in 1994 at the posh Hotel del Coronado near San Diego, while the people were attending a UFO conference she organized. I got the feeling she's going to be promoting that as a major UFO case, and I suspect we'll be hearing a lot more about it. Are these Alien Video Cameras? No, wait - cameras that took videos of aliens! Antonio Huneeus spoke on the "Best UFO Cases: from Ancient time to 2012," which covers a whole lot of ground, so I guess it's no surprise that he ran way over time. I felt like I was listening to Erich von Daniken, or maybe even Ancient Aliens on the History Channel. This talk frankly bored me, and I took advantage of the opportunity to nap. In the past Huneeus has written some very sensible and balanced articles, but there was no hint of that circumspection today. The last speaker of Wednesday, and in my view the most interesting of the day, was UFO journalist Lee Speigel, now with Huffington Post/ AOL News. Speigel cautioned the audience not to "believe everything they read, or see, or hear, about UFOs," and gave several examples showing exactly that. He recounted his own 1973 sighting of a UFO during a flap in North Carolina that he went to investigate for CUFOS and J. Allen Hynek. That's what set him strongly on the UFO path. Concerning the famous 1978 UN UFO kerfluffle involving Sir Eric Gairy, prime minister of Grenada, J. Allen Hynek, Jacques Vallee, and astronaut Gordon Cooper, Speigel explained how he organized it! I knew he was involved (he is in some of the photos), but didn't realize his critical role. He also provided laughs about how, when he did a regular UFO program for NBC radio in New York City, he was forced to go around the city as "the alien," looking vaguely like Marvin the Martian as he trundled across New York City to promote the show. It was announced that Bruce Maccabee will not be able to speak as scheduled on Friday, owing to illness. So he will be replaced by Stan Romanek, who became famous when he posted on YouTube a video of an alien peeking in his window. The result of that was, of course, that several other people posted even better videos of aliens peeping into their windows. Stan and his wife Lisa will be talking about their new book. Maybe they can even help you take a video of an alien peeping in your window? I am here at the 21st Annual International UFO Congress near Scottsdale, Arizona. The sessions begin tomorrow morning. Lots of major UFO personalities will be here. When I wrote up my visit to the MUFON Symposium last summer, I did it after getting home. I suspect I won't have much time to Blog in near-real time these next few days, but I'll do what I can, and try to fill in the rest later. When I picked up my badge tonight, there were only two things going on: a movie, and a Skywatch. The Skywatch is organized by the UFO Skywatch Club of Fountain Hills, Arizona (a.k.a. "right here"). They use very powerful night-vision equipment to look at the night sky for objects that move. The gentleman seated at the computer has a camera pointing straight up, more or less. He moves it around a bit. It shows a lot more stars than can be seen with the naked eye, displayed on the big screen. If you want to lie back in the reclining "zero-gravity chair" and look through the night-vision binoculars for yourself, that will cost $20 (although the price soon fell to $10, that being all the market would bear). They saw several airplanes and satellites. They also saw objects that fluttered about and changed directions. Those are either owls, bats, or even possibly moths. The camera has an extremely wide-field and tremendous depth-of-field - when the operator walked up to dust something off the lens, his finger was almost in focus, as were the stars. So there is no way to tell how far away an object might be, just looking at the display. "We're seeing a lot of UFOs tonight," one of the Skywatchers said. Pretty much whatever they see, it's a UFO. Dean Haglund is an actor, artist, improv comic and investigator. Best known as one of the Lone Gunmen from “The X-Files”, Dean continues to be closely identified with the paranormal realm and the conspiracy field. An epic that is equal parts comedy, consciousness and conspiracy, “The Truth is Out There” follows Dean Haglund as he travels the globe hoping to discover what it means to search for the truth in a world where conspiracies, conspiracy theories are everywhere. This was one of those movies where the director apparently could not afford a camera tripod. Or else he thought that the movie would be more "authentic" if the audience watched the hand-held camera wobble for two hours and twenty minutes. In any case, the wobbly camera was making me seasick, and I didn't see any reason to care about what Dean Haglund said, so I didn't stay more than about a half hour. Jacques Vallee, J. Allen Hynek, and the "Pentacle Memorandum"
I have just finished reading Jacques Vallee's diaries from 1957-69, published as Volume I of Forbidden Science. It tells the story of his life from childhood in France, his education and early career, his developing interest in UFO reports, etc. The book is very literate, very personal, and in places even poetic. It is a good read. Perhaps the most significant new issue discussed in this book is the matter of the so-called "Pentacle Memorandum." In June of 1967 while Hynek was away on vacation in Canada, Vallee went over to Hynek's empty house to organize (with permission) and sort Hynek's disorganized UFO-related files. He found one document, a two-page typed memo, that he believed to be extremely significant. Dated January 9, 1953, it was stamped "SECRET - Security Information" in red ink. Vallee refered to it as the "Pentacle Memorandum," in order to not identify the author. "Pentacle" was later revealed to be H.C. Cross of Battelle Memorial Institute, Battelle's liaison with the Air Force for Blue Book-related matters. A good account of the memorandum's discovery, Vallee's claims about it, and the text of the memorandum itself, are here. This letter concerns a preliminary recommendation to ATIC on future methods of handling the problem of unidentified aerial objects. This recommendation is based on our experience to date in analyzing several thousands of reports on this subject. ATIC was the Air Force's Air Technical Intelligence Center. Vallee writes, "This opening paragraph clearly establishes the fact that prior to the top-level 1953 [CIA] Robertson Panel meeting somebody had actually analyzed thousands of UFO cases on behalf of the United States government." (Vallee 1996, p. 284. Emphasis in original.) This is supposed to reveal the existence of a huge and secret UFO investigative program, other than Blue Book, somewhere within the U.S. government. The plot thickens when Vallee finds out a short time later that "Pentacle must indeed have worked at Battelle [Memorial Institute]." (Vallee 1996, p. 294). Gasp - you mean that in January, 1953 there was someone working at Battelle who had analyzed "thousands" of UFO reports for the U.S. government?? And this was a secret program???????? Earth to Vallee: The Battelle Memorial Institute began working on Special Report #14 for Project Blue Book in March, 1952 This was a statistical analysis of UFO reports in the Blue Book files, the first to use newfangled computers and punched cards.A total of 3200 cases were analyzed. The report was completed and published in 1954. Blue Book Special Report #14 is well-known to UFOlogists. In fact, Stanton Friedman hardly ever stops talking about it. Of course there were people working at Battelle in January, 1953 who had analyzed "thousands" of UFO reports for the U.S. government. They were working on Blue Book Special Report #14. They finished the following year. Congratulations, Jacques! You've found indisputable proof of the existence of the team writing Blue Book Special Report #14! Which has never before been doubted. Just ask Stanton Friedman. Since a meeting of the [CIA's Robertson] panel is now definitely scheduled we feel that agreement between Project Stork and ATIC should be reached as to what can and what cannot be discussed at the meeting in Washington on January 14-16 concerning our preliminary recommendation to ATIC. According to Hynek, White Stork was a former Air Force project name encompassing the Blue Book project. Vallee suggests that Project Stork was keeping the soon-to-meet Robertson Panel in the dark and would decide what they would be allowed to learn. Vallee writes that the memorandum seemed to dictate "a key determinant in what the panel could discuss – and what not, i.e. what would be kept away from the panel. By preselecting the evidence, the conclusion the scientists would reach could thus be known in advance." Vallee should read that sentence more carefully. It does not talk about UFO sightings or evidence. He is interpreting that sentence as if it said "agreement between Project Stork and ATIC should be reached as to what can and what cannot be discussed at the meeting in Washington on January 14-16." But the sentence does not end there. It continues with "concerning our preliminary recommendation to ATIC." In other words, not to decide what subjects are off-limits to discussion by the Robertson panel, but to decide what to tell that panel about plans involving Battelle and ATIC. Or, in plain English, "How much should we tell the Robertson panel about what we've been proposing to ATIC?" I realize that English is not Vallee's first language, however his mastery of English seems to me to be so complete that I am surprised to see him misreading that sentence so badly. we recommend that one or two of theses areas be set up as experimental areas. This area, or areas, should have observation posts with complete visual skywatch, with radar and photographic coverage, plus all other instruments necessary or helpful in obtaining positive and reliable data on everything in the air over the area. A very complete record of the weather should also be kept during the time of the experiment. Coverage should be so complete that any object in the air could be tracked, and information as to its altitude, velocity, size, shape, color, time of day, etc. could be recorded. All balloon releases or known balloon paths, aircraft flights, and flights of rockets in the test area should be known to those in charge of the experiment. Many different types of aerial activity should be secretly and purposefully scheduled within the area. Pentacle's proposal seems to be this: Let's identify an area where people are making a large number of UFO reports. Let's set up an extensive monitoring system so that we know everything flying in or out of that area. Then we'll try a controlled experiment: we will cause the people to see balloons, unusual aircraft activity, etc., and then monitor UFO reports we get from that area. We will see how a known stimulus is reported as an unknown object, and thereby better understand the UFO reports we receive. This sounds like an excellent idea from a standpoint of science, although from a standpoint of law or ethics it may not pass muster. It also sounds rather expensive, and not easy to keep under wraps, which would defeat its purpose. Interestingly, as a result of several passive (not active) experiments of this kind, UFOlogist Allan Hendry, one of Hynek's chief investigators during the 1970s, became far more skeptical about eyewitness reports. As detailed in his book, The UFO Handbook, Hendry examined the reports being received originating from a known stimulus (advertising aircraft, balloons, etc.) and found many of them so wildly in error that he cautioned against taking such reports at face value. To other UFOlogists, Hendry seemed to be guilty of horrible blasphemy (even though he believed some UFO reports to be unexplainable), and they began to denounce him. Understandably embittered, Hendry withdrew from UFOlogy some thirty years ago, and has refused to discuss it since then. A frequent theme in Forbidden Science is Vallee's commentary about the rigidity of bureaucracy, in government and in science, in France and in the U.S. He gives one example after another of seemingly good proposals being rejected or even ignored by a bureaucracy unwilling to accept change. What is surprising is that here Vallee, of all people, seems to be confusing a proposal with a project. He must surely realize that, merely because Pentacle is proposing some grand and new UFO investigative project, the odds of that proposal being actually implemented by a rigid Air Force bureaucracy (which clearly had little enthusiasm for UFO investigation) were slim to none. This passage does not in any way establish that such a controlled experiment involving UFO stimuli was ever carried out. I was very interested to read this book not only for its historical aspects, but also because his path in certain ways parallels mine. We both were interested in astronomy from childhood - and also in UFOs. Many of the people and the places he writes about during his years at Northwestern are familiar to me. I learned that Vallee left Northwestern to go back to France just two weeks before I arrived there as a freshman, interested in science and astronomy - and UFOs - except that I was a skeptic even then. I lived in Sargent Hall, right next to the Technological Institute where Vallee earlier had his office - on the opposite side of that building from Dearborn Observatory, which housed the astronomy department offices. His description of Hynek exactly matches my own recollections: disorganized, witty, charming, and obviously quite pleased to be in the media spotlight for UFOs. Hynek would eagerly recount his meetings and his travel, and newly-received UFO reports, never quite sure what to do about them. Later Vallee and I each moved to California's Silicon Valley because of the outstanding career opportunities there at that time. Rosicrucianism: They claim that their 'Ancient Wisdom' is thousands of years old, but there is absolutely no proof of that. "I find their documents to be an interesting spiritual complement to my scientific training. Every month I receive a set of course material through the mail. It includes both theoretical reading and instructions for simple rituals, promising insight into higher realities" (Vallee, p. 39). He later explains that the Rosicrucian order he belongs to is "AMORC, which is headquartered in San Jose." If you've ever seen that Rosicrucian Museum with the awesome mummies interspersed with cheesy claims of ancient mysteries, that's the group he was talking about. When I was a kid, they used to regularly have ads on the back page of comic books. 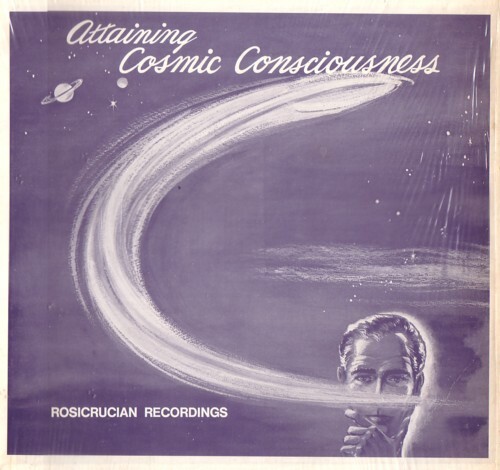 Hynek was also interested in Rosicrucianism (p. 233). Astrology: Vallee, and later Hynek, became friends with Michel and Francoise Gauquelin, who were attempting to put astrology on a scientific basis. "Yesterday Hynek went back to see the Gauquelins to discuss astrology and destiny" (p. 341). Vallee claims he was responsible for his publisher Regnery accepting Gauquelin's book on astrology, The Cosmic Clocks. In the early days of CSICOP, there was a big stink when the skeptics challenged Gauquelin's "Mars Effect" data, which apparently was (in that one instance) correct. However, the correlations he claimed to find could not be replicated. Mystical and psychic realms: "In recent discussions with Hynek, I pointed out that the saucer question may well be part of a complex series of scientific realities, but it also plunges deep into mystical and psychic theories. I found him very receptive to this idea" (p. 88). As for myself, I cannot see how any intelligent person can, upon clear reflection, take any of those subjects seriously. I have never felt that there was some 'alternate' or 'hidden' realm of being, at least not since I figured out that the Catholic Catechism I was being fed was a load of codswallop. 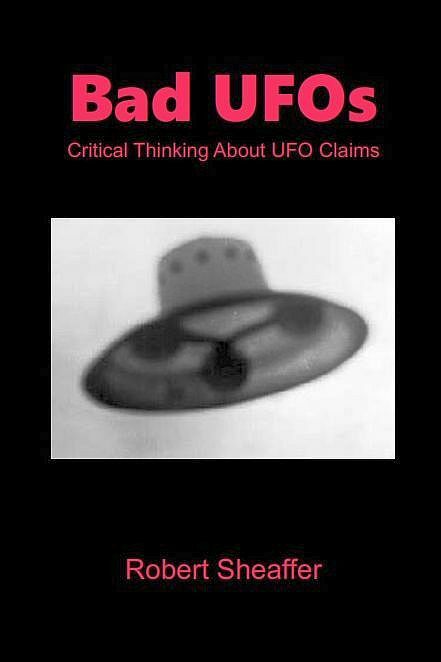 Ultimately, the case for UFOs as promoted by Hynek, Vallee, and their followers boils down to what Hynek termed "credible persons reporting incredible things." Now exactly how "credible" is that, especially if it is supposed to serve as a foundation for a radical revision of science? The Royal Society of London for Improving Natural Knowledge, invariably shortened to The Royal Society, is the oldest and probably the most prestigious scientific body in the world. Founded in 1660, over the years its Fellows have included such luminaries as Robert Hooke, Robert Boyle, Isaac Newton, Humphry Davy, Charles Darwin, and practically every other British scientist of any note, as well as a number of foreign ones. The intellectual world of the mid-seventeenth century was very different from ours today. Learned men disputed not only about the properties of gases and the motions of the planets, but about witches, miraculous apparitions, and other apparent violations of the natural order. How to sort out what is real from what is not? 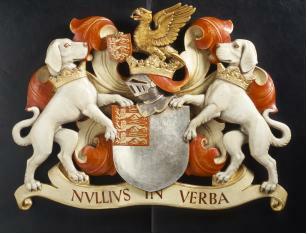 The Royal Society selected for its motto, Nullius in verba, which serves as a sort of Razor for scientific claims. The Latin phrase translates literally as “on the word of no one,” or, more colloquially, "take nobody's word for it". If you have some kind of proof for what you are claiming, then it can be investigated. But if all you have are words, it cannot. In our day, we still get reports from seemingly credible persons of things we are fairly certain do not exist: UFOs, Bigfoot, angels, and miracles of every kind. The popular press and the mass media are very fond of such claims. They make good ratings. But they make very bad science. The UFO proponent’s motto, on the other hand, would seem to be something like Omnius in Verba, or “words are all we’ve got.” In fact, Hynek was honest enough to admit that directly: we possess no actual UFOs, he said, only reports of them. Hynek was surprised and genuinely hurt when the scientific establishment replied to him, as it had to in order to remain true to its centuries-old foundation, “we take nobody’s word for it.” Give us a piece of a UFO, or some indisputably authentic, clear and detailed photos, or some instrumental data. But if all you have to offer are stories about sightings of UFOs, we are not interested. Nullius in verba, Allen. Vallee wrote that, concerning UFOs, “the scientific world is as close-minded as an old pig” ( p.184). Jacques, you’re a very bright fellow. You should know that Nullius in verba has been the rule in science since 1660. Since then, the scientific world has embraced Newton’s laws of motion and of gravitation, electromagnetism, evolution, Einstein’s relativity, quantum mechanics, plate tectonics, and the Big Bang. These are just a few of the major paradigm changes occurring in science since that time. Not bad for a close-minded old pig. Now exactly what kind of evidence do you have to offer, Jacques? Words? That is the big mistake of Allen Hynek and Jacques Vallee, and more recently of Kevin Randle, John Alexander, Leslie Kean, and so many others: Nullius in verba, folks. One of the best-known UFO abduction stories is that of Travis Walton. 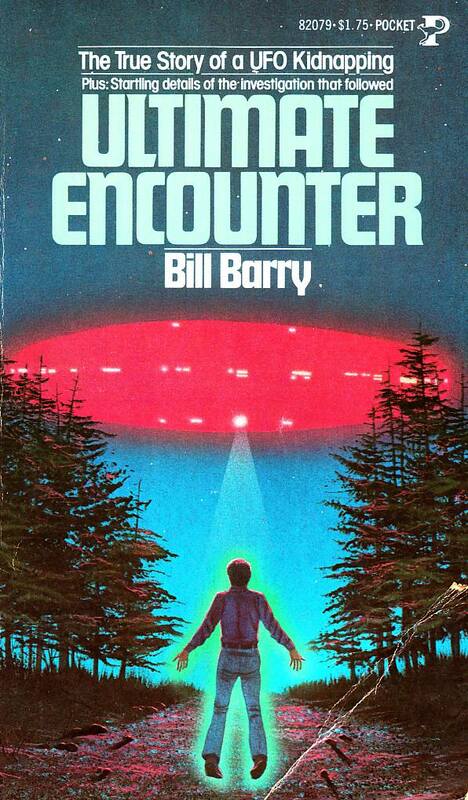 He claims that on Nov. 5, 1975, as he and six others were returning from a day's work cutting logs in Arizona's Sitgreaves National Forest, he was zapped by a beam of light from the UFO, and taken aboard the craft for five days. His story won $5,000 as the Best UFO Case for 1975 from the National Enquirer, has been the subject of several books, as well as the Hollywood movie Fire in the Sky (1993). The best-known and most influential of all UFO skeptics was Philip J. Klass (1919-2005), longtime Senior Avionics editor of Aviation Week and Space Technology magazine in Washington, DC, and one of the founding fellows of CSICOP. Klass wrote many letters and made many phone calls to people involved in the story, including Travis' family, the local Sheriff's office, polygraph examiners, etc. He found strong reasons to brand the entire story a hoax. His conclusions were written up in great detail in chapters 18-23 of his book UFOs The Public Deceived (Prometheus, 1983). Fortunately, there is a Kindle edition of this book for less than $10, and used paperback copies can also be purchased on-line. Still, the skeptic's case against the Walton abduction claim is not being widely read. For several years I have had a Travis Walton page on my Debunker.com website, containing some of the best anti-Walton arguments, but not nearly as much information as Klass provides. On a website promoting the Blue Ridge mountains of North Carolina as a UFO "hotspot," Sky Ships Over Cashiers, there is a page titled Debunker's $10,000 bribe to stop UFO truth. This claim is now making the rounds of UFO-related Forums. Someone shouts on the Outpost Forum on February 5, "BRIBE BOMBSHELL! STEVE PIERCE WHO WAS WITH TRAVIS WALTON WHEN HE WAS ABDUCTED CLAIMS THAT HE WAS OFFERED A $10,000 BRIBE FORM THE LATE DEBUNKER PHIL KLASS TO STATE THAT THE ENTIRE TRAVIS WALTON ALIEN ABDUCTION CLAIM WAS A HOAX!" Travis Walton himself quickly replied, "Yes, it is true. I even mentioned this in the1996 edition of my book. But all I knew then was that Deputy Click had taken Steve the message when Steve still lived in this area. I didn't know then that Klass had also flown to Texas and spent hours taking Steve out to dinner and trying get him to accept the bribe. And followed Steve to another state or two. 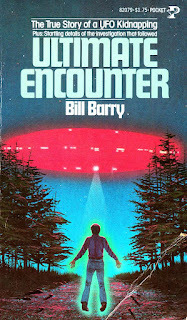 Very curious, since in my first edition I had criticized Klass for being "an armchair investigator" who, unlike Dr J. Allen Hynek, the Lorenzens and Stanton Friedman, had never personally contacted anyone involved nor ever bothered to visit the site." If Walton thought that Klass was an "armchair investigator," then he obviously knew nothing about Klass, and had not read any of Klass' UFO books. Walton continues, "All this strongly supports the belief that Klass was a paid government disinformationist." However note that the accusation does not come from Pierce, but instead from Mike Rogers, Travis' best friend, and future brother-in-law. Barry does not directly accuse Klass of offering a bribe, but hints it is so. Klass, however, notes that Rogers told Pierce "Then you'll spend the money alone, and you'll be bruised." Klass writes, "The latter suggests that Rogers was threatening Pierce with physical harm if he recanted." If you read A Profitable Nightmare of a Very Unreal Kind on my Travis Walton page, you would see that such a threat of violence should be taken seriously. Klass continues, "had Barry checked with me, I would have assured him that I never made such an offer to [Deputy] Click or to anyone seeking to 'buy off' a member of the Rogers crew." In the wake of the bribery accusation, Klass did locate and speak with Steve Pierce (but not until after the accusation had already been made!). Note that Klass did not travel to Texas or anywhere else to meet with Pierce, or take him out and entertain him - those are lies made up by the Walton crowd. 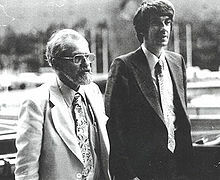 One of the most convincing arguments in favor of the Walton abduction has always been that the five woodcutters sitting in the back of the pickup truck, who did not know each other well and had only come together recently to work on Roger's contract with the Forest Service, all told compatible stories about the incident, and all passed a polygraph exam, more or less. They would have no incentive to go along with a hoax. Klass, however, insisted that they were all in collusion. I thought Walton and his best friend Mike Rogers could have rigged up something convincing enough to make the other five think they'd seen a hovering, hostile UFO. * Properly primed with flying saucer talk by Walton and Rogers, with clever theatrics by the duo during the sighting/zapping, with Rogers whisking the crew away after but a few seconds exposure, it wouldn't have taken a "Day the Earth Stood Still" saucer to fool them. After the fact, in the forest gloom, with Walton and the UFO mysteriously gone, their impressions easily could have been further molded by Rogers continuing his act and repeating his version of the saucer and what it had done to Walton. Experienced investigators know eyewitness testimony frequently is unreliable, a point often made by Klass in criticizing the work of ufologists. They also know people are highly suggestible during and in the wake of dramatic unexpected events. Yet, in pooh-poohing my suggestion, Phil implicitly accepts the accuracy of the Walton witnesses' publicized descriptions of the UFO. Klass: What did you see? Hmmmmm... A "Plan Nine from Outer Space" saucer, perhaps? * I hasten to add that, while I think a hoax is possible, I have not made up my mind about the case. Klass writes that Pierce told him that, on the day of the "UFO abduction," Walton did no work at all, claiming to be ill. During the afternoon, Mike Rogers disappeared from the work site for about two hours (perhaps to prepare the UFO light show). They usually left the work site about 4:00, according to Pierce, but on that day they remained until about 6:00, thus they were uncharacteristically driving home in the dark. If they drove home in daylight, the UFO light show would not be visible. Klass says that when he told Pierce that he believes Walton's story to be a hoax, Pierce replied, "Me too. If I could ever prove it was a hoax I'd damn sure do it." (Klass 1983, p. 221). Which suggests that Pflock's hypothesis is correct: the five woodcutters in the back of the truck were not perpetrators of a hoax, but its first five victims. It also shows the absurdity of supposing that Klass would offer such a bribe: even if Pierce did claim that the case was hoaxed, he would not be believed unless he had had proof of a hoax. Plus, he might get "bruised." "Walton Abduction Cover-Up revealed": NICAP reveals, using Klass' research, that APRO and the National Enquirer were complicit in covering up "inconvenient facts" about Walton's claims, and lying about it. A 17 page 1976 White Paper by PJK laying out the case for a hoax. Point-by-point refutation by PJK of APRO's claims. Evidence of Mike Rogers misrepresenting facts about the case. Why Mike Rogers engineered a UFO hoax to get out of an unprofitable Forest Service contract. A second file contains contemporary news clippings, interviews, memos, and other "real-time" information about the construction of the Walton UFO hoax.